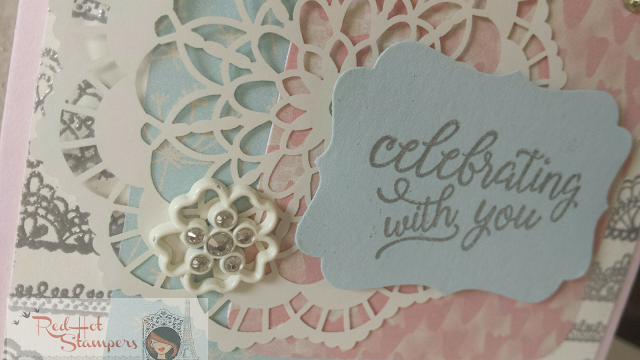 Red Hot Stampers: Celebrating WITH you! One thing I wish I would have learned a lot earlier in life is that being happy --TRULY happy-- for someone else ALSO brings true happiness to your own life. I could share some good (and bad) examples from the past, but let's just leave it back where it belongs. This card would be perfect for the love of your life on Valentine's Day. 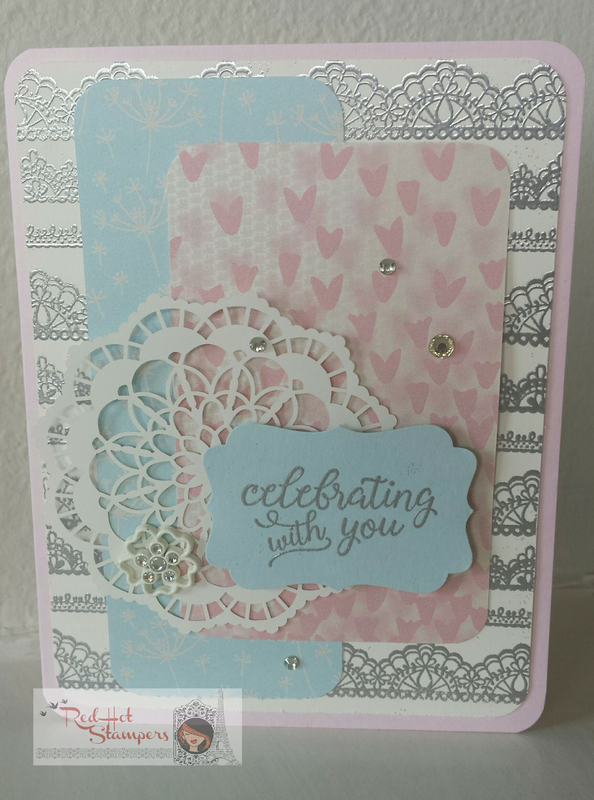 I used the gorgeous Falling For You stamp set and a few products from the coordinating suite. These products work well for Valentine's, Weddings, Anniversary, Mother's Day, or even for a pretty Thank You or Happy Birthday! 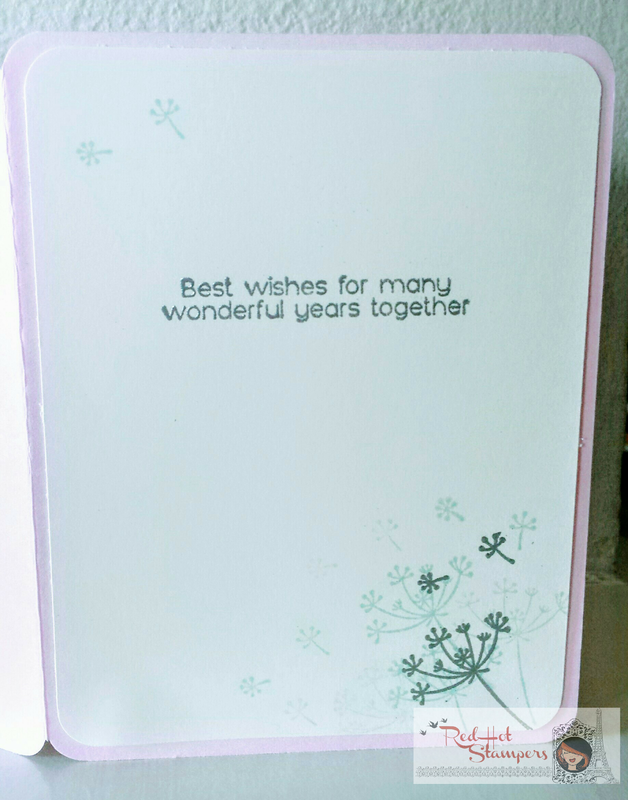 I love that dandelion image with this sentiment of best wishes! So magical. The picture doesn't do it justice, but I stamped the images in soft sky and then embossed a few in silver. I do LOVE me some metallic embossing!!! If you love this card, you'll be excited to know that there is an exclusive video going out in this month's newsletter! (Also for free. I love free!) Just enter your name and email over on the right of this page to get this and future exclusive goodies delivered to your inbox for free!